Mt. Healy Overlook - I took this shot by setting my Pentax ME on a nearby rock. Mt. Healy Overlook is 1700' above the park entrance. It's a 5mi. long trail with some steep switchbacks along the way. 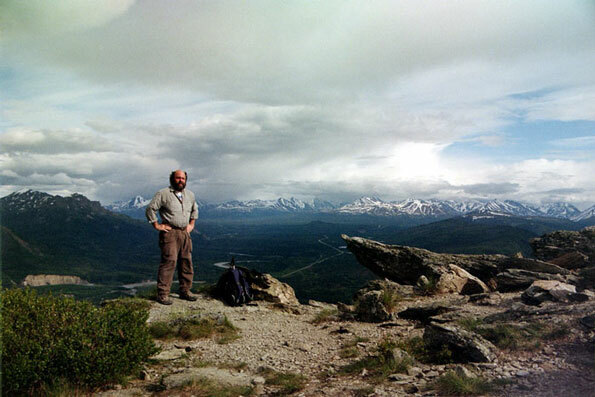 It's a popular trail in the front country of Denali National Park and a much safer place to do solo hiking than the back country. I timed it just right and caught a train going by in the valley below(that's another photo). That's Alaska Rt. 3 and the Nenana River in the background. 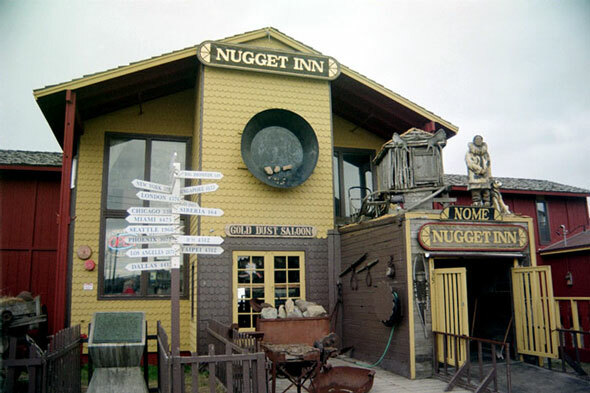 Nugget Inn - This was my digs in Nome. The place definitely has charcter, but it's not quite as old as it looks. Well, maybe I didn't look too closely. The rooms are a bit spartan, but I'd stay here again, just not in Room 201 over the bar. The owner rides his snowmobile to Nome every winter following the Iditarod Trail 1000+ miles from Anchorage. Sunset here was 1:45am and sunrise was 3:30am. I missed both, but I did look out the window around 1:15 and saw the sky colored the deepest shade of purple I've ever seen.